Kishore Lulla, Chairman of Eros International is delighted to be supporting such a well established and far reaching project. 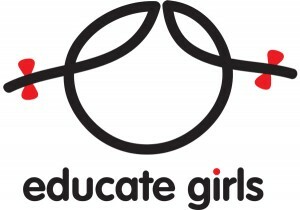 Educate Girls works to reform government schools for girls’ education by leveraging existing community and government resources. Following a sustainable and community-driven program, we strive to bridge the gender gap in Rajasthan. Since 2008, the Educate Girls initiative has impacted the lives of over 200,000 girls in 2 districts with the aim to positively impact 1.6 million children by 2016. Along with education, the NGO focuses on improving school infrastructure, bringing about community ownership and advocating female leadership. The main targets for this project will be 100% enrolment, higher attendance and improved learning outcomes for all girls by creating “Community Ownership” of government schools. The strategy of parent based ‘School Management Committees’ to facilitate school improvement has proved to be very successful. Additionally we have created village based volunteers recognized as ‘Team Balika’ to overcome the challenge of working with first generation learners whose parents are unable to impact learning outcomes. Team Balika are champions for girls’ education, they spread awareness on the importance of educating girls, strengthen school management and improve learning results. As patrons of Educate Girls, The Eros Foundation will support the implementation of all program activities in Sanchore block in Jalore district of Rajasthan. Sanchore block consists of 122 villages. The Eros Foundation will support the project in 314 schools spread across these villages and enrich the lives of over 15,000 girls. The Sanchore block also has 122 trained Team Balika (that is, educated village youth volunteers), and over 2000 parents who will be trained to improve the quality of education meted out. The Eros Foundation will also provide expert training and support for Educate Girls’ teams in the region to help build capacity and provide an international educational perspective. “India has the largest illiterate population in the world. Unfortunately most of those who lack education are women living in rural areas. Educate Girls works hard on enrolling and retaining girls in schools because to educate a girl is to empower her community.” – Safeena Husain, Executive Director, Educate Girls.